Margaret Weiss Games has re-gained the rights to the Serenity RPG again. Woohoo! Posted on 2013-02-26 at 03:23:00.
sigh. You guys just ... sigh. Posted on 2013-02-25 at 02:51:17. Just how serious is the radiation leak? Obviously we are shutting down the reactor but it'll stay hot (literally) for a good few hours as the whole thing cools down and the decay heat dissipates. It is not serious in that you are not travelling anymore. The issue was that the crack would grow as long as it would be in use. Yes there will be radiant heat but that will cool off. I will have to refresh my memory on the engines of a firefly when I get home. Posted on 2013-02-19 at 20:19:48. Two silver cases. One held by a beautiful woman. The other by a short musician. Posted on 2013-02-19 at 19:49:49. Also if this is moon of Sihnon then that can't be too far away and we should be able to get help quicker. Now the guilds there could be running their "not so " up front stuff off this moon. Too far for the shuttle. Long epigee or whatever they called it back in high school physics. Would we be able to access the Cortex from the Atmo Prosser? I'm guessing it is just our equipment not functioning that has the cortex down? Would the shuttles have separate Cortex transmitter? Someone or something is jamming the cortex. All the transmitters in the world won't help you. Posted on 2013-02-19 at 19:28:20. Subject: OMG - Asher opened the door!!!! Can the shuttles be used to explore the area? Do they have sensors that could help locate the building? They could cover more area faster than the mule. The mule can be used to haul stuff that is found. We should think about dealing with the basic need of the people so they don't get too hard to handle. Maybe set up groups and let them rotate using the galley. Sign out to leave the cargo bay for use to the head and maybe showers. If there are extra quarters they can be used on a rotation to wash and clean. I thought there were guest quarters in the aft section. There are guest quarters, enough for 4-6 depending on how cozy they want to be. Posted on 2013-02-19 at 19:12:07. Sorry but the long weekend got away from me and I didn't get much time to look at the computer let alone post. I will be working on that between today and tomorrow. Teller of Aryn is back and looking to take on the role of Jessy again. So I will be NPC'ing Robert's monk until his return, or the end of this game session. Now: It is 1:00 am ship time. It is dawn planet time (6:00 am by the Atmospheric beacon). For the passengers whom were going to dinner when you came to the rescue, it is around 2-3 am and it has been a long time since any of them ate. You are all getting tired, not so much that you are in trouble but as you push on, it will start to get worse. Posted on 2013-02-19 at 14:38:17. The personal information of the passengers provided would be "accessible" by all crew by either talking to each other, watching and making inferences, listening to others talk among themselves and some mild spying. The passengers have been cooped up in a cargo hold for more than four hours so you can get them to stay for a bit, but they will want to get out soon. BTW - I said twilight in the above but I meant Dawn. The morning is coming in a hour or soon. Posted on 2013-02-12 at 21:01:20. My big work push is now over and things should be getting back to normal, or whatever passes from normal in my life. I see I have left unfinished business so let me address some questions. 1) From your current locations, what immediate damage can we notice has been sustained? You still have power although Wolf is shutting down the reaction. You will have some battery power to use for some time but Rocinante is not going anywhere soon. 2) From our character's knowledge of what damage has been done (see question 1) what can we assume, given both worst and best case scenarios, still works or needs fixing? You have three major issues. a non-functioning Primary Buffer Panel, one Drive Pod dead and a cracked containment in the Core. You can not assess until you get out of the ship. 3) How are our passengers? Any more injuries and how panicked are they? Should Willow be worried about having to do more operations today? The passengers are happy to be alive, there are no more injuries because they all were moved into brace positions by Captain Havelock. As well, Celeste did manage a terrific landing considering she was flying with one wing. 4) How's the cargo? I assume it hasn't exploded or we'd know about it but it would be good to know if it survived or not. Still tied down, nothing went boom. 5) From what can be seen from the cockpit, from what data John could get to before the decent, and from any installments that are still working on the ship what can we tell about the gorram moon we've just crashed into? Although the cortex is down, it does update daily and hold a "vital" data memory. LV-426 is a moon of Sihnon in stage two of terra-forming. From the cockpit window it is dark, almost purple dawn type sky. There are large hill formations nearby and the Atmosphere processor is about 3/4 of a mile to the south, but you can see it in the window. Stage two means breathable air, and a lot of ground cover vegetation (shrubs, grass, lichen, etc etc). The processors are on monitor mode but not active. There are probably man-made caves in the hills used in stage one. Stage three will be bringing life to the planet in the form of microbiology but that is many years away. As to accessing the AP, it is probably locked up but terra-formers are notoriously cheap on security because - frankly most valuables are too big to steal. The processor looks similar to this. 6) Is the moon's atmosphere breathable? Are there any toxins or contaminates or unusual radiation that we should look out for? Yes. Very breathable although it may be a bit thin. Heavy exercise is not recommended. 7) Any sign of human, or reaver, life on the moon? Not that you can see but if reavers were gonna hide out somewhere, this would be a good place. Other possibilities would be squatters, pirates and criminals on the run. No one will come here for decades except unmann recons that gather data and leave. It is cool outside and it is windy (20-30 mile/hour). On a stage 2 planet, it will rain alot, suddenly and storms will be violent. The Lost Boys: Four teen boys that are on this cruise on their own, primarily to meet women. They seem to be more knowledgeable about the working of the ship and video games than how to talk to women. Names are Sheldon, Leonard, Raj and Howie - they are all doctors of theoretical physics and not really in touch with this reality. Sir Christopher Hood � A sash wearing lord but not actually a bad guy. He is an older gentleman, balding with some white hair, with an easy smile and a light chuckle. Doesn�t mind talking to crew or staff and seems to treat everyone well. Even helps Captain Havelock get to his quarters after too many and when he speaks to you, he looks into your eyes. He is alone on the trip, apparently never married and therefore the target of Portia Amber machinations. Cameron Bridges � A well to do man who definitely doesn�t mind spending money but he is careful none the less. Older man with thinning hair but seems to know a lot of people. Portia was initially interested in him but then moved on quickly. Obviously knows Willow from the past, and it looks like it was serious then. Beatrix Kiddo - A young and beautiful woman with a silver case and has been labeled by Matherson as a thief. She seems out of place among the socialites and has been very interested in Sifu well-being since he was hurt. Five members of the orchestra including one smaller gentlemen (Adrian Brody, but short) with a similar silver case as to the one Beatrix Kiddo carries. Wanda Sung - Highly successful lawyer and advocate of the Londonium Legal system. Jennifer Jones - Wife of Jupiter, known for her former career as a model and adult holo-vid star. Other than that, you have many lords, barons, ladies and you name the title which basically means they don't do squat cause they have money. Until I hear from Robert, I am going to assume that I am NPCing him, as well as Beatrix. Celeste caught someone on the ship sending a short range radio signal. She jammed it but some of it got out. It would mean a passenger has signaled another ship and knew the ship was out there. I will post this weekend to move everyone ahead and have Sifu tell the captain what he "heard" before the fall. I would recommend a quick meeting of all crew maybe ask a passenger or two to join, to share info before stepping out onto the moon. Posted on 2013-02-12 at 17:08:14. It would be very beautiful and no one would dare say no to him now. BTW - I am on the last day of the big conference at work so I will be updating soon. Posted on 2013-02-06 at 15:53:43. Posted on 2013-01-29 at 12:57:30. Missing the I series and the Desert of Desolation as well. Posted on 2013-01-28 at 17:42:55. Just roleplay Asher and you will charm them into giving you a job. But seriously Good Luck. I know it is daunting but I believe in you. Posted on 2013-01-28 at 16:05:47. I know I owe a bunch of you some info and descriptions. Been very busy with work recently. Please stand by. Posted on 2013-01-28 at 13:30:25. All the old TSR/WotC games and modules are now available online through DrivethruRPG. Reasonably priced as well so go and grab them before the accountants change their minds. Posted on 2013-01-24 at 15:55:04. Oh don't worry. A little paint and a buff and it will be good as new. Posted on 2013-01-23 at 17:50:48. I was thinking you may want to look around the ship first and react to what had happened, maybe fill in details about the landing from the perspective of the players but I can post a "what you see, here is the sitc" post if you'd like. Posted on 2013-01-22 at 18:03:54. Okay, I have posted the landing. No one worst for wear but you got a lot of fixing to do if you are going to leave this moon. Posted on 2013-01-21 at 14:45:50. Asher stared back at Matheson, unflinching from the cold gaze he was receiving. The man was obviously not used to having people talk to him that way. In the end, Matheson smiled, "You are right of course. More important things to deal with than my case. I apologize for my ... selfishness and if you require assistance in any way, my two men would be more than willing to help as much as they can." Asher watched Havelock and Lord Hood for a few moments before heading off the cockpit. The two men had more differences than similarities but they did seem to want to help. Asher noted that for all his stumbling and loudness, Havelock was getting people to sit down and in places between bulkheads and tied down cargo. Prefect places for them to brace themselves if the landing went badly. The man may be drunk but he was no fool. Lord Hood soon started doing the same thing, all while talking a positive talk that everything would be ok.
As he moved on, Asher noted that four young ladies who looked very similar were grouped together and staring at him as he walked by - giggling amongst themselves as he did. No good ever came from giggling. Everyone had reported in and Wyatt gave them their orders. John thought that once in the Atmo, he'd should be able to activate the Beacons of the processors. As well, there should be a sand field that the terra-formers would create in case of a bad landing, so he might be able to locate that. Tess thought it through over and over again. She would have to slow the descent speed dramatically, which she could do in a number of ways. Once in the Atmo, with only one pod working, she would be in a jam. "When we are heading in, Captain, I am going to need to take the lead. John on second chair if Willow can spare him, Wolf and Asher in the engine room with comm open. I can do this but everyone is gonna have to trust me. Dohn ma? All the passengers were down on the floor and strategically placed where they could hold on to something solid. Havelock was telling stories to anyone who listened. "We were coming in hot and the drive pods were both on fire. Landing gear was jammed and frankly we thought we were goners. But the ship flew true. We bumped the surface a few time, spilled our beans in every crevice and corner, but it got us down safety. This is a good ship and a good crew. They'll get us home." "Why?" One of the young ladies asked, " Why are fireflies so special. My dad says they are junk ships." Captain Havelock smiled, "Because my dear, they were designed by a very smart woman, and if anyone knows how to bring the menfolk home in one piece, it is a woman." John came out of the medical theatre and nodded a positive nod to his crewmates. The monk would be coming around soon. He quickly ran off towards the cockpit as Asher ran up to join Wolf in the engine room. The time was now. 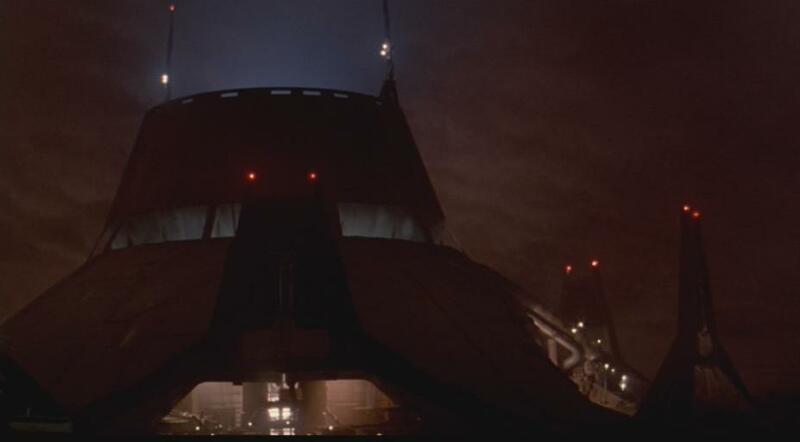 Rocinante came towards LV-426 at a shallow angle, as Tess used the atmosphere to slow the ship down. The ceramic tiles on the bottom of the hull were no doubt glowing red but it was a qucik and dirty way to drop the velocity. Once through the outer reaches of the moon, she cut the pulse engines and attempted to activate the drive pods. The one came alive no problem but there was no response from the other. The good news was that she could tell by the way the ship rolled under one pod that the damaged pod was still attached to the ship. Otherwise they would be spinning right now. As Tess handled the flight, John worked on finding the beacon of the atmosphere processors. It took a few moment but he located it and set up a feed between it and Rocinante. The sand field was due south of the closest processor and he fed the coordinates to Tess. The ship flew an odd pattern of half spin and wobble but it came down steadily. Using the reactor and the Grav Dampener - Tess pushed the null grav bubble well past safety limits - essentially turning the ship into a leaf on the wind. In the engine room, Wolf knew what Tess was trying and although he might it otherwise, he could appreciate it was the best solution. Without the primary buffer panel, the big mechanic had to watch the dials and reading in the engine and manually adjust the power by hand. Asher was maintaining all other functions so Wolf could concentrate on that. The ship flew down and bounced once off the surface of the sand field. Then it bounced a second time, hard enough to be felt by everyone and cause a small amount of panic in the cargo bay. Then the third and Tess dropped the landing gear, spun the drive pod downward and using pulses of full power to no power, brought the ship down to the surface safely. Once down, a mighty cheer was heard throughout the ship. Fu Sheng opened his eyes and looked around the room. Willow was there at his side looking worried but serene at the same time. "Have we landed?" The monk asks weakly. Posted on 2013-01-21 at 01:50:47. Posted on 2013-01-18 at 14:21:42. I will be landing the ship (more or less) sometime this week. Been busy lately. Still no word from Celeste. Posted on 2013-01-16 at 16:23:53. Teller has contacted me and decided to leave the game at this time. I will continue with her character as a NPC as that was what I had her as originally. Posted on 2013-01-12 at 00:25:23. The game is starting again but I have been a bit swampped in family goodness over the holidays to send a reminder. So.... Rocinante is back on-line! I know Willow would like to post as would others so let's say I will be looking to update this weekend, most likely Sunday. So if you got something to say - do so. If you are unsure of anything, please send me a message. If I have lost anyone, please be so kind to tell me. Posted on 2013-01-10 at 13:02:20. Happy new yoer to you and your family Ody. Always glad to have you in my games. And a Happy New Year to all RDI members! Posted on 2013-01-02 at 02:51:56. Just saw the Hobbit and I have to say that I loved the movie. I did not find it slow at any point. I thought the additions that PJ made were actually well thought out. He seems to be setting up the battle of Dol Guldur, which I think would be in the third movie. Posted on 2012-12-27 at 21:35:45.